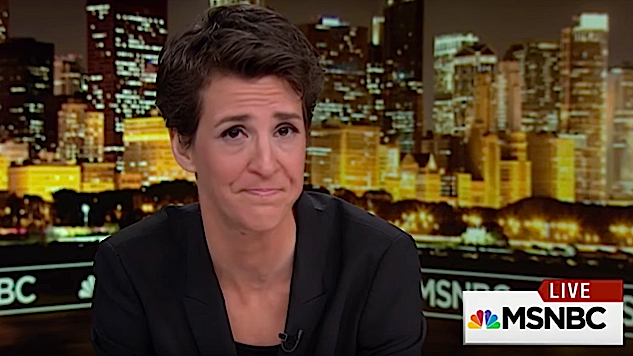 The fact that MSNBC host Rachel Maddow focuses excessively on Russia-gate is not new, and it’s not unique—clearly, there is some kind of ratings incentive for cable TV news hosts like her to chase the Kremlin dragon in lieu of topics that you or I might consider more concrete and more important. That’s life on the small screen, and while it’s easy to rue the melodrama and the superficiality, Russia has been the moneymaker since Trump was elected, and it’s not going to change. That said, there’s a big difference between obsessively covering the Mueller investigation and…this. So, again, in the absence any actual connection to actual Russian attacks on our grid, what on earth is Maddow up to here? Is she just using a nasty weather event to stoke the fear that Russia could make it worse? Because that’s definitely what it seems like she’s doing! And fearmongering on that level, with no evidence to support her wild speculation, is deeply irresponsible and extremely reminiscent of the conspiratorial ravings you’d see on Infowars or any other alternative right-wing media source. It’s building an enemy from scratch, and while the Russian government is not a choir of angels, Maddow’s insular red-baiting does no favors to anyone, on any side, and only encourages tribalistic thinking. If this is what we can expect from her show, or from MSNBC in general, it may be time to retire the idea, once and for all, that we can count on any TV outlet to cover the issues that affect us the most on a daily basis, or to hold our institutions accountable for anything beyond the dark fantasies of a host who has clearly lost the thread.